A “conspiracy theory” that the Gov knows very well that the next ice age is on the way. 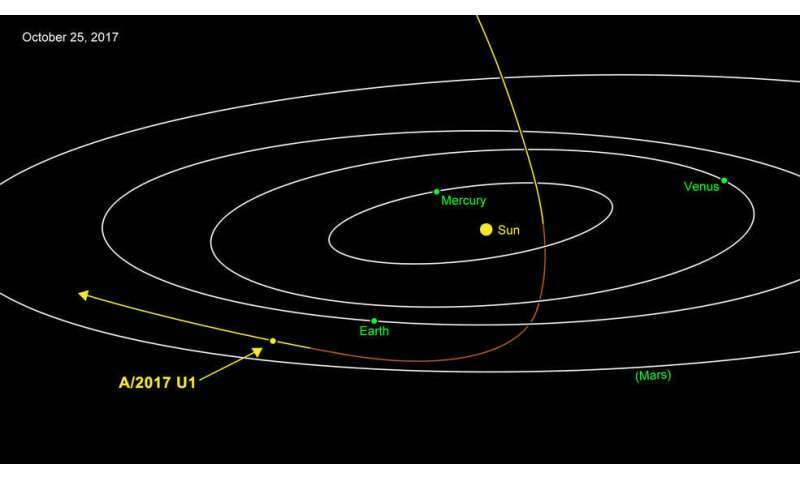 UNUSUAL COMET DIVES TOWARD THE SUN: Today, spacecraft are monitoring a close encounter between the sun and Comet 96P/Machholz. This is no ordinary comet. 96P/Machholz has a strange chemical composition that has prompted astronomers to wonder if it comes from another star system. Moreover, it is linked to a complicated network of debris streams criss-crossing the Solar System, suggesting that 96P/Machholz may have exploded in the distant past. The comet will receive a new blast of heat in the days ahead as it swoops past the sun deep inside the orbit of Mercury. Will it fragment further? 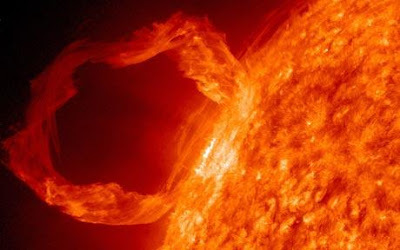 Visit Spaceweather.com to see the latest images. Above: The orbiting Solar and Heliospheric Observatory (SOHO) is monitoring the comet's approach to the sun. SOHO uses a coronagraph--that is, an opaque disk to block solar glare--to see comets and planets otherwise invisible to the human eye. This is NOT the COMET that BPEarthwatch discusses. Will be updated today. Jan 24, 2014 · Is a mini ice age on the way? Scientists warn the Sun has - Daily Mail. Sleepy sun thickens the slow solar wind. British researchers say solar activity is at its lowest for 100 years, and conditions are 'very similar' to the months before a mini ice age in 1645. Jan 18, 2014 · The Little Ice Age was caused by the cooling effect of massive volcanic eruptions, and sustained by changes in Arctic ice cover, scientists conclude. Whereas global warming would be a good thing (despite Al Gore's gloomy forecasts) a mini-Ice Age could be disastrous: growing seasons would be shortened, more energy must be extended to stay warm, and. Piers Corbyn believes that the last three winters could be the harbinger of a mini ice age that could be upon us by 2035, and that it could start to be colder than at any time in the last 200 years. He goes on to speculate that a . The Big Wobble: More very strange weather: Hurricane winds of nearly 100mph kills 3 in Germany as Storm Sebastian heads south! 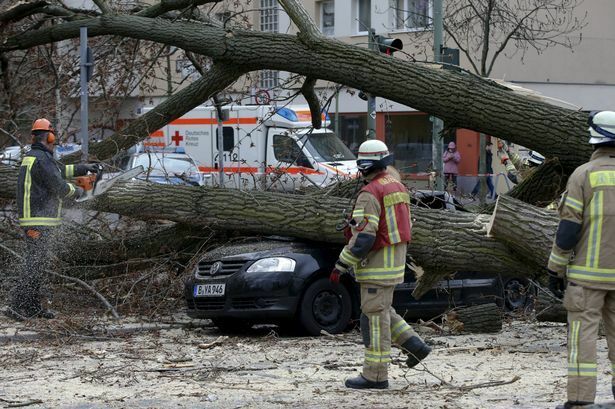 At least three people have been killed in a large windstorm that swept across Germany. Hurricane-force winds downed trees and toppled scaffolding, with officials warning residents to stay at home. Windstorm Sebastian wreaked havoc across northern and northwestern Germany on Wednesday, killing three people and causing power outages. Wind gusts of up to 150 kilometres (93 miles) per hour were recorded in the northern Harz mountain range, according to the German weather service (DWD). The North Sea saw gusts of up to 140 kilometres per hour, as residents in northern Germany battled driving downpours. Also in Hamburg, a pedestrian died after being hit by scaffolding that fell from the seventh floor of a building, police said. The man later succumbed to his injuries after being taken to a hospital. And in the western German spa town of Brilon, a 53-year-old man was killed after he was crushed by a falling tree. Appointed and anointed by God! As Mark Taylor prophesied, Trump is bringing revival to America. Yes, Trump is not perfect, not spotless, only One being is spotless! No mere human living in this divided world is sinless. But, God can and does use faulty people for His own purposes to accomplish His will. He can even use you, imperfect as you are, to do great, Godly deeds. We are called to be holy, and as we intend to do God's will, even stumbling on the way, we are on the right path. Wait for videos to load. Trump being congratulated after his anointing by pastors.